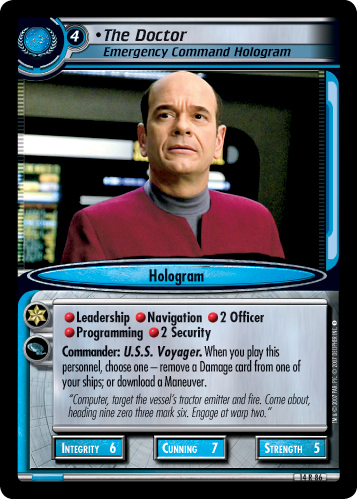 Order - Stop this personnel and choose an opponent to make that opponent choose a Hologram he or she commands and return him or her to his or her owner's hand. 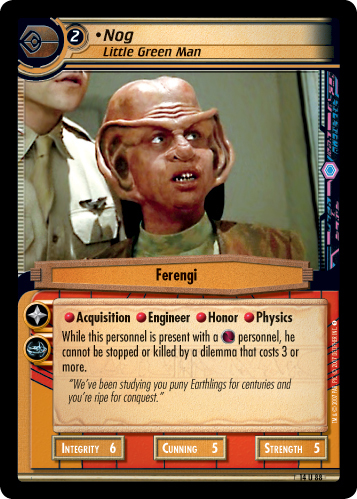 "Sometimes I'm a teacher, sometimes I'm a Bajoran Vedek. Whatever the customer wants." Image Source: Voyager: "Inside Man"